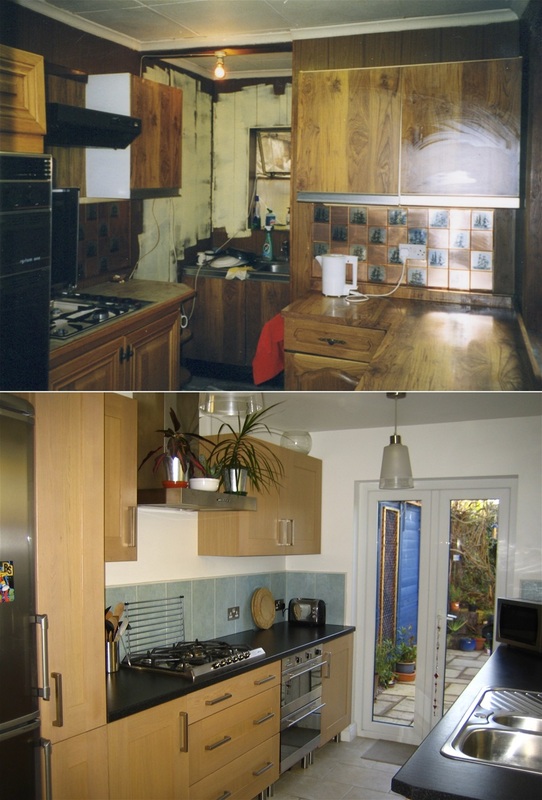 Before and after, looking down the kitchen. The new French windows flooded the previously dark space with light, and allowed access directly onto the garden. The clean lines of the unit gave the kitchen a good flow, and easy to use layout.